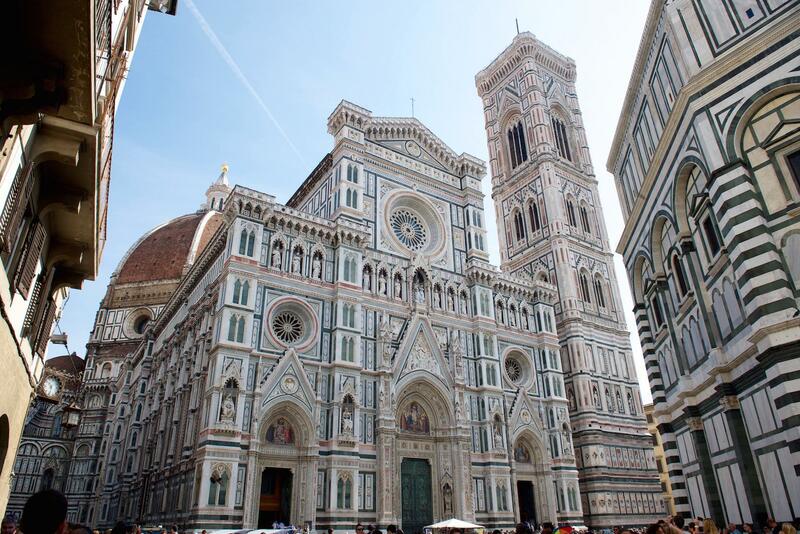 There’s a lot to see and do in the capital of Tuscany. 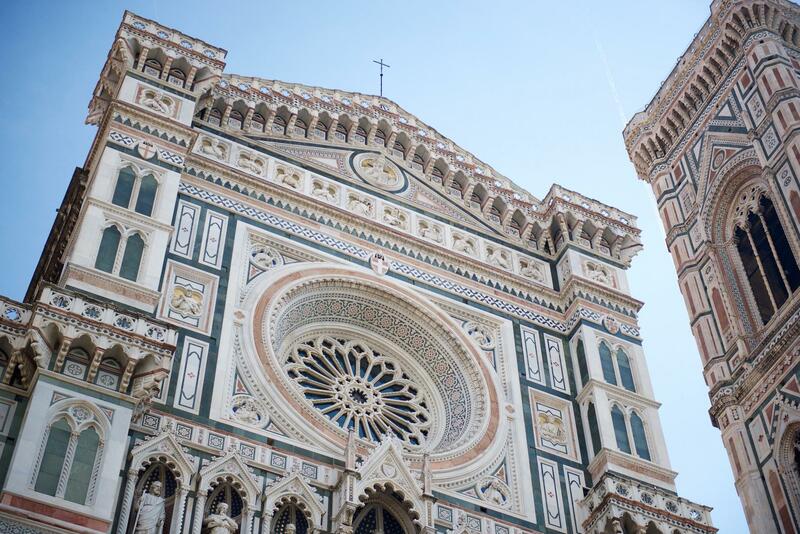 It’s an art lovers paradise, architecture paradise as well as a heaven for foodie lovers, so it’s no wonder why Florence is nowadays one of the most popular spots in Italy. 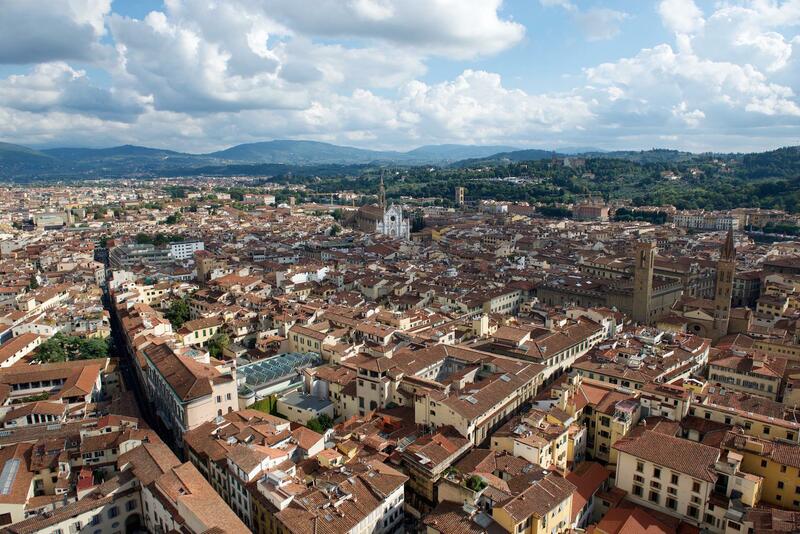 The city played a major role in history and is a place where many famous Italians were born – from Dante, Brunelleschi, Leonardo da Vinci, Gucci, Roberto Cavalli and many more. 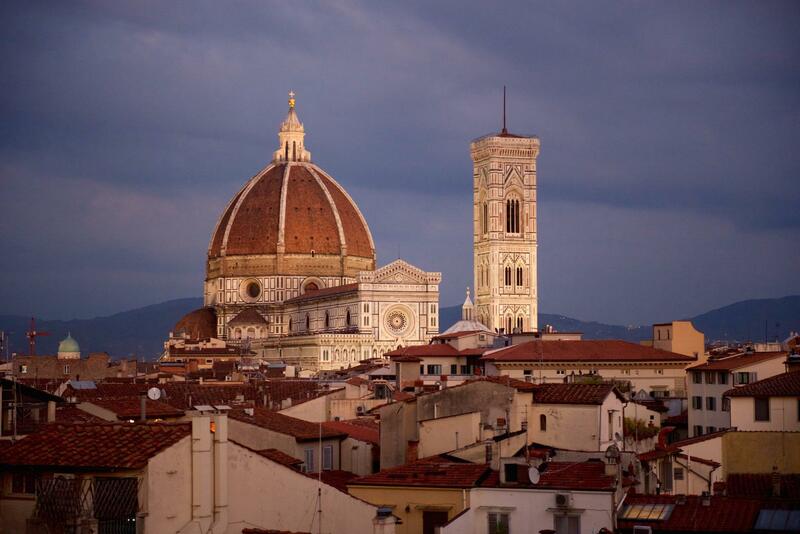 Florence being the renaissance birthplace is a heaven for art lovers. 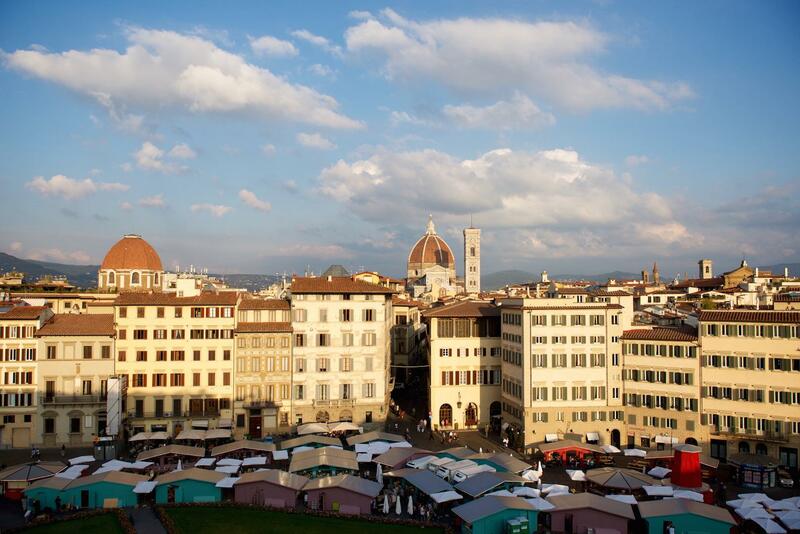 One of the most important museums, the Uffizi Gallery is usually the main reason people come here, so make sure to book it in advance, as well as some other equally important like Galleria dell’ Academia. 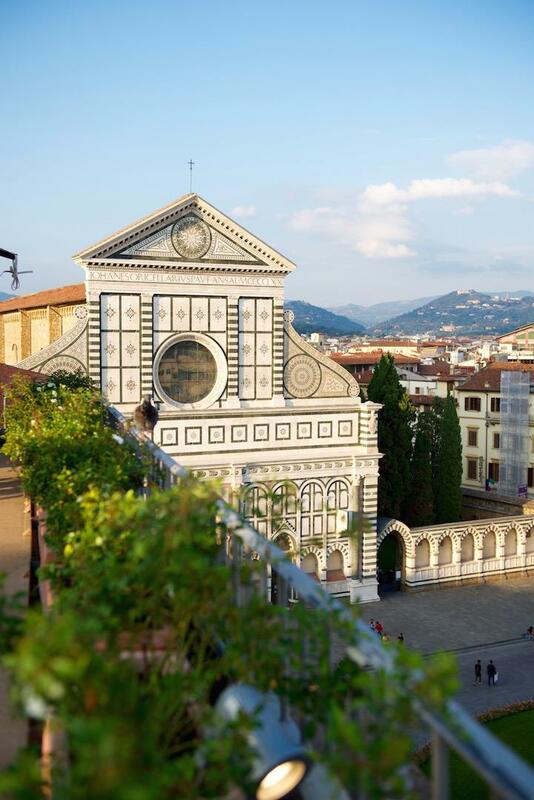 The whole city is a living museum, but if you’re not that into classic art, galleries and museums than make sure to check out the more modern and trendy Gucci Museum which is a bit different than your usual museums are. 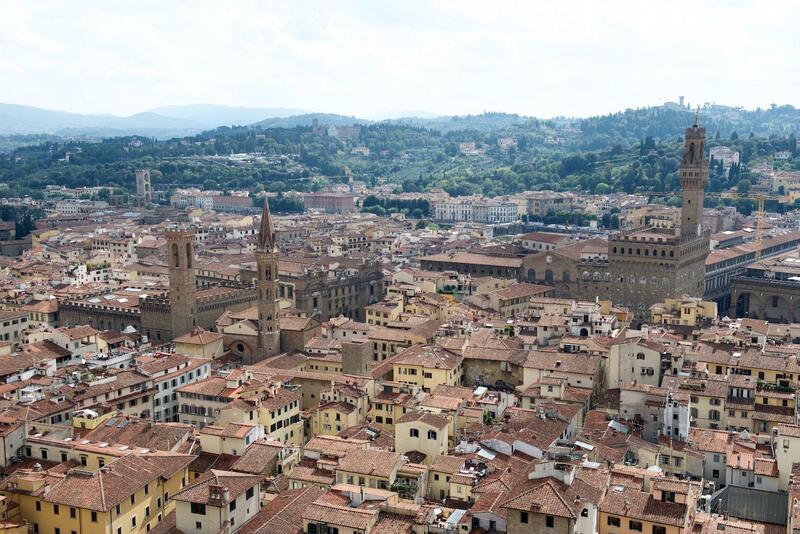 For us the highlight of our trip were not the museums (although they are definitely worth visiting), but rather the incredible architecture of Florence, yummy food and amazing views. 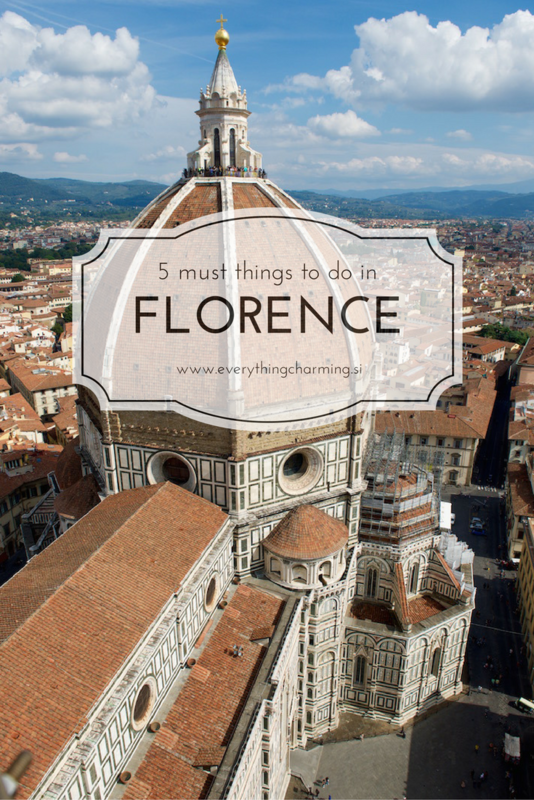 So, here are the five top things that everybody should do while in Florence. 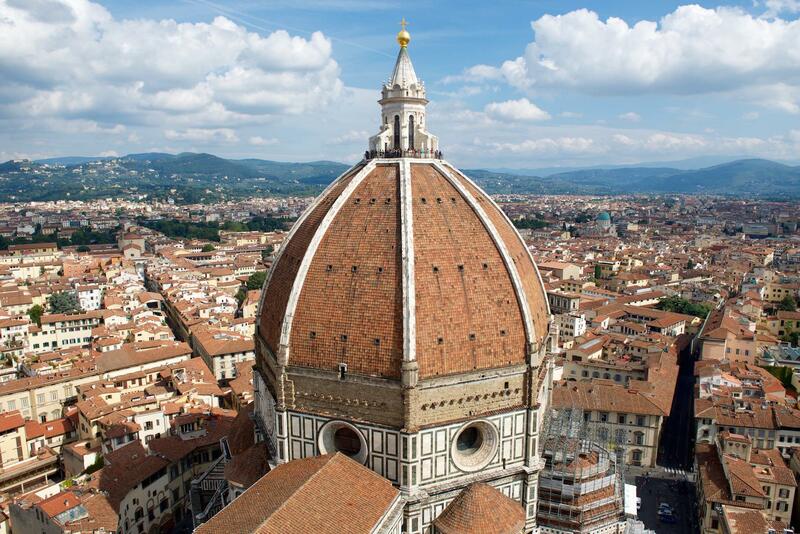 Not surprisingly the first thing on my list is the Brunelleschi’s dome, as it’s nevertheless what Florence is most famous for. And for a good reason, because the whole cathedral is just magnificent. 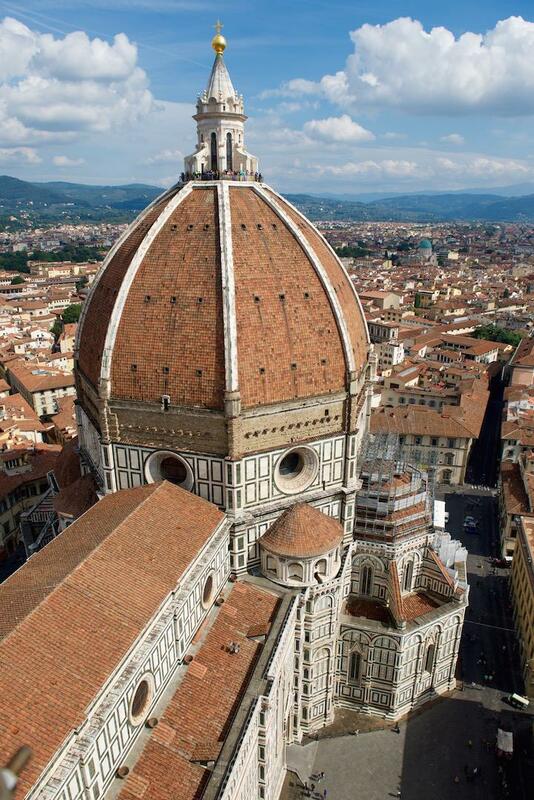 The construction of the cathedral took almost 150 years to build, but the Brunelleschi’s dome was completed in 16 years. The neo-gothic facade of the cathedral is fascinating with it’s green, pink and white marble and the interior isn’t any less impressive. The frescoes from the late 16th century that adorn the dome from the inside and the massive size of the cathedral’s interior make it simply one of the most grandiose cathedrals I have ever seen. But the best views are definitely from the top. 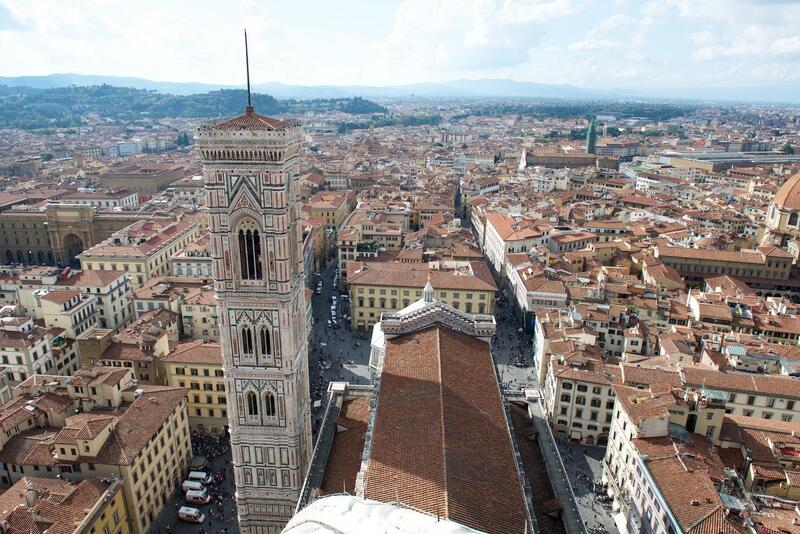 Almost 500 stairs up to the top of the dome in steep and narrow staircase is not a piece of cake, but the view is well worth it. 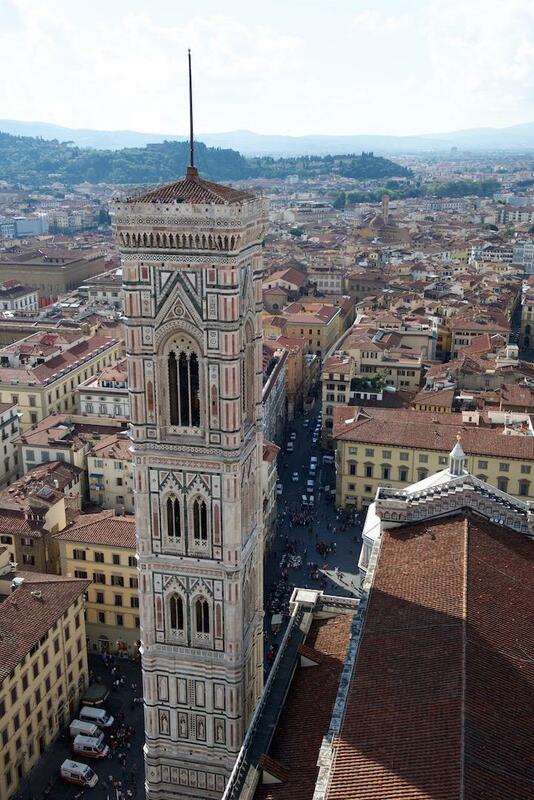 We went to both, the dome and the bell tower and both views were absolutely amazing. From the bell tower you have a nice view over to the giant dome and vice versa. 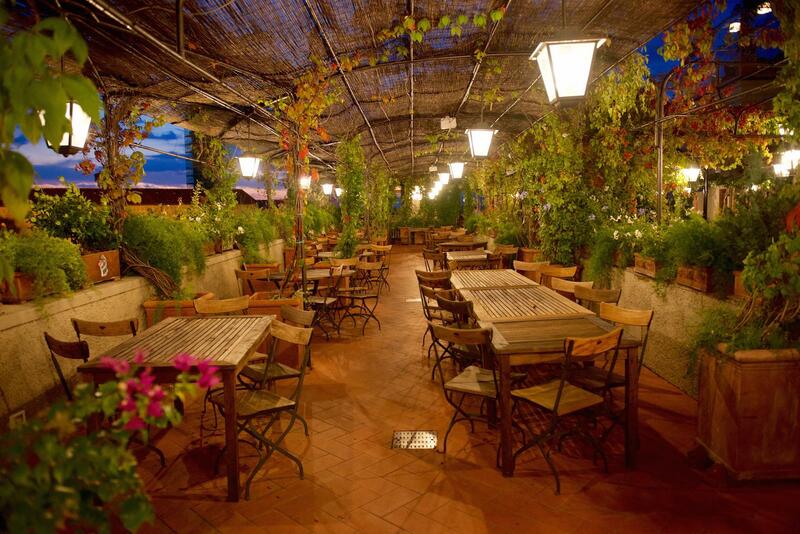 The views over the terracotta rooftops reach all the way to the Tuscan countryside with its green hills in the distance. 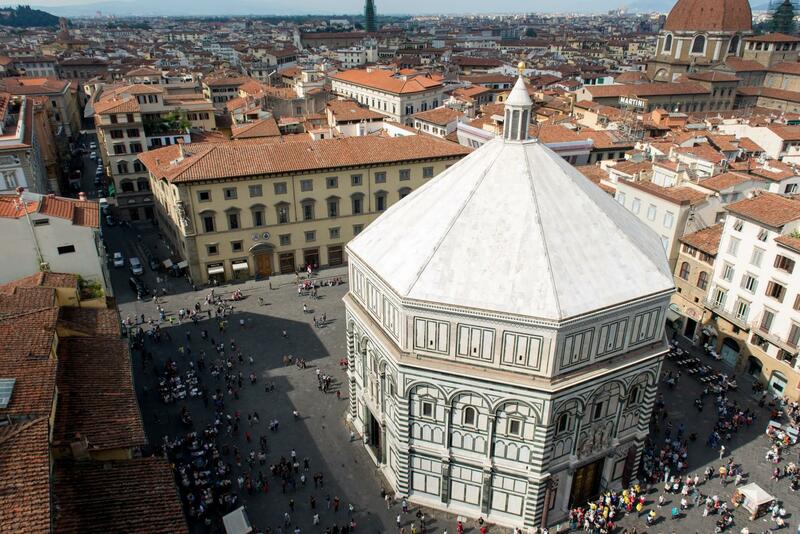 The ticket for both is 15€ and includes both attractions, as well as the entry to the baptistery, the cathedral itself and museum, but be prepared that you’re gonna have to wait in line for at least an hour for each of the attraction. For me rooftop bars just have a certain charm. The open airy space, amazing views, delicious cocktails, what else could you ask for? My favourite time of the day to go is when the sun is sinking down and the lighting is just magical at that time of the day. 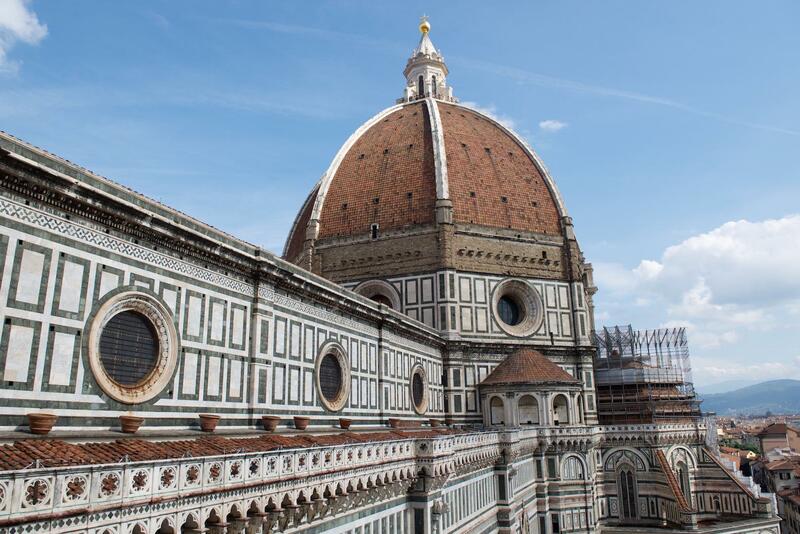 Since there are a lot of really cool rooftop bars in Florence I had a hard time deciding which one to choose, but I definitely wanted one close to the Florence’s cathedral and with amazing views over to the dome. 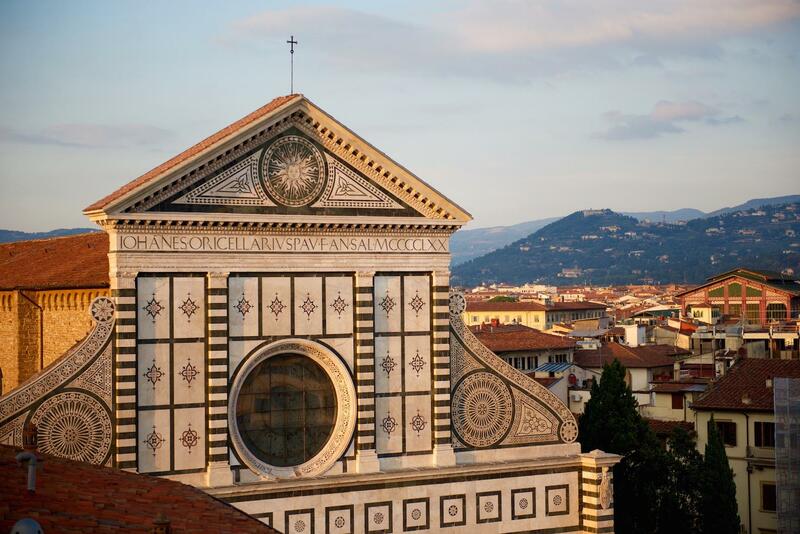 The first one that we went to was in Grand Hotel Minerva in Piazza di Santa Maria Novella. 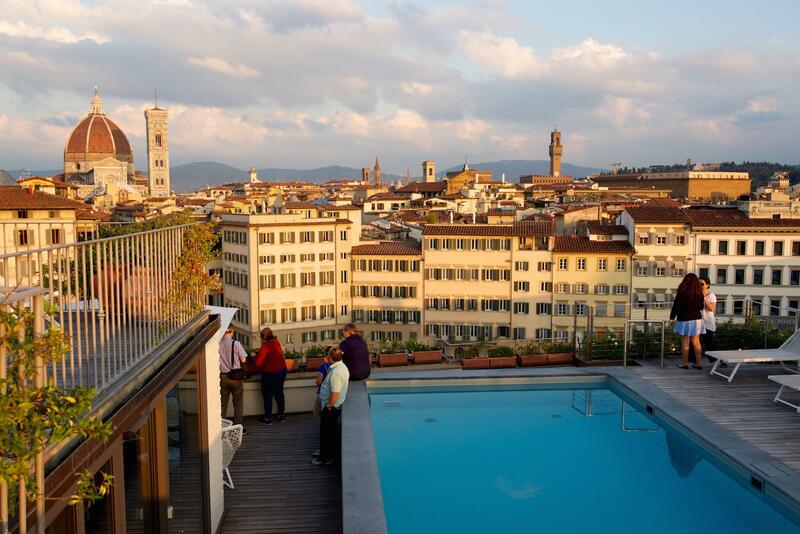 Their rooftop is a bit tiny, but it has a pool (although it’s for hotel guests only) and it has an amazing view over to the the Santa Maria Novella church which is right next to it. 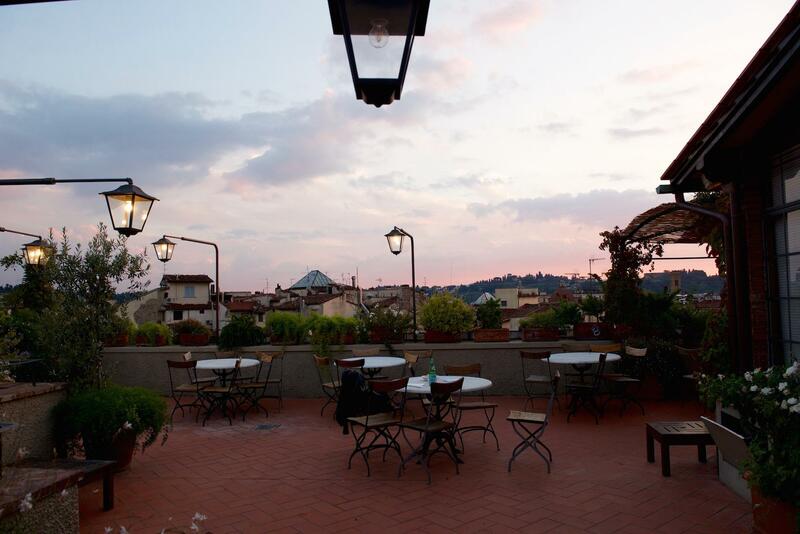 The next one that we went to was the Terrazza Brunelleschi at Grand Hotel Baglioni. Even though it’s only 100m away it is a little bit closer to the Cathedral and has a really nice terrace full of plants and flowers that give it a nice touch. Drinks are a little bit more expensive than they might be in your regular bar, but not considerably, and the views definitely compensate for this. So, if you are looking for a place to admire and photograph the giant cathedral from afar and from different perspective these are your go-to places. 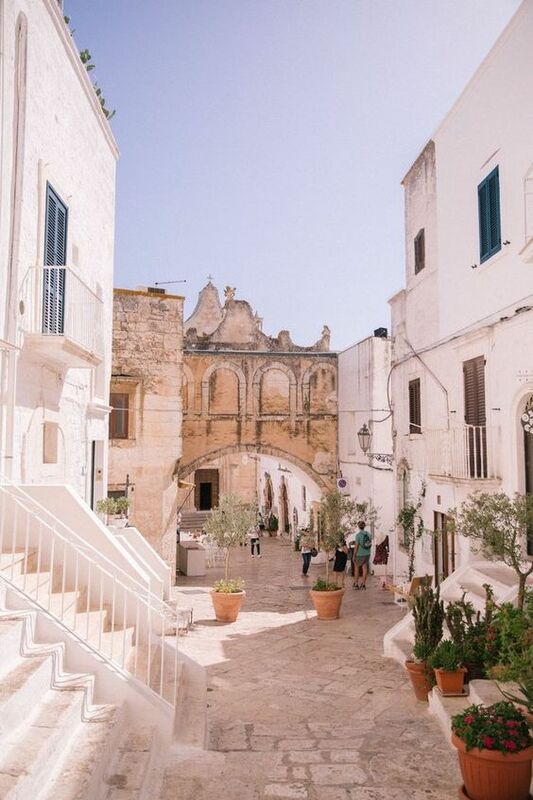 Make sure to book one of the Walks of Italy tours. 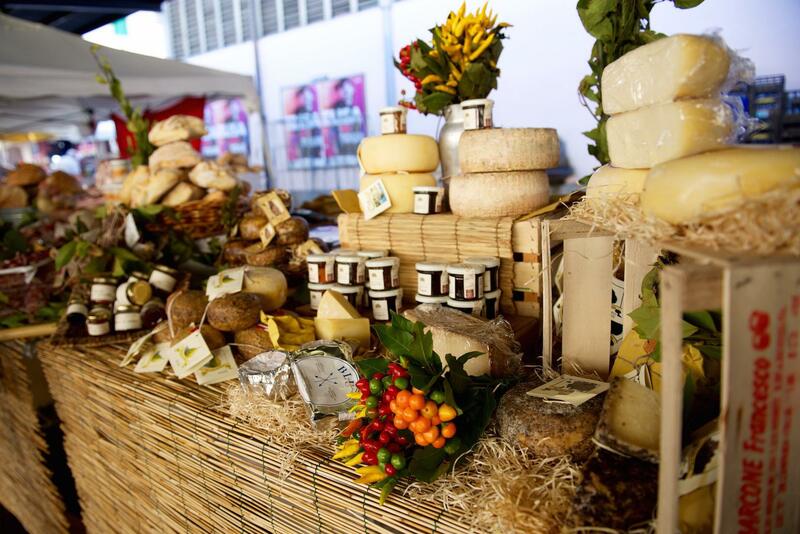 They offer all kinds of different tours and we decided for a food tour. 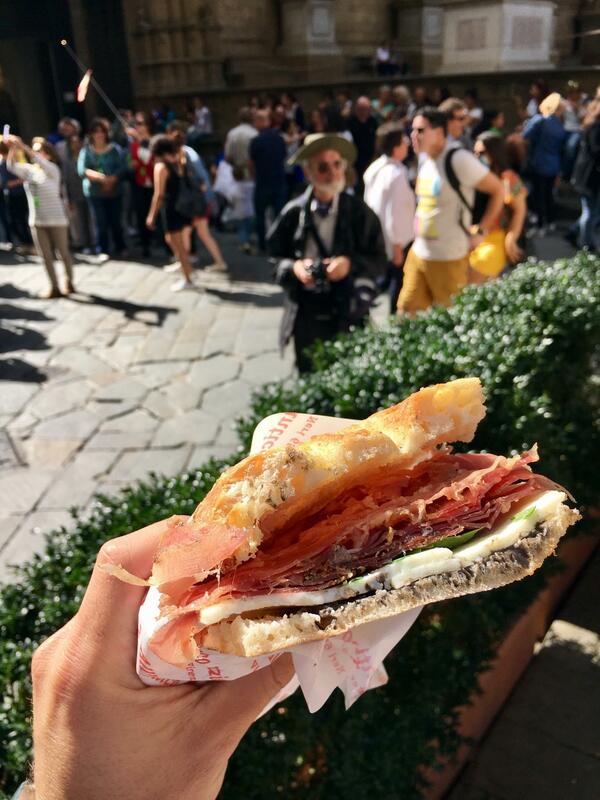 This was definitely the best thing ever, as you get to know the local spots and you get to try everything from Prosciutto, Pecorino cheese, typical Florentine red wine, to the popular street snack lampredotto. If you are a foodie, or even if you are not, and you are looking for something authentic make sure to book this as you will not regret it. You can read more about our experience here. 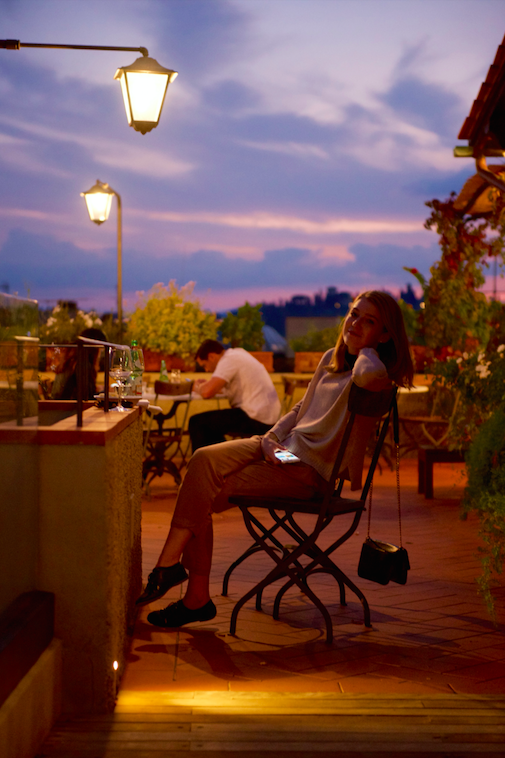 If you need some peace and quiet away from the buzzing and crowded Florence than head to one of the gardens on the other side of river Arno. 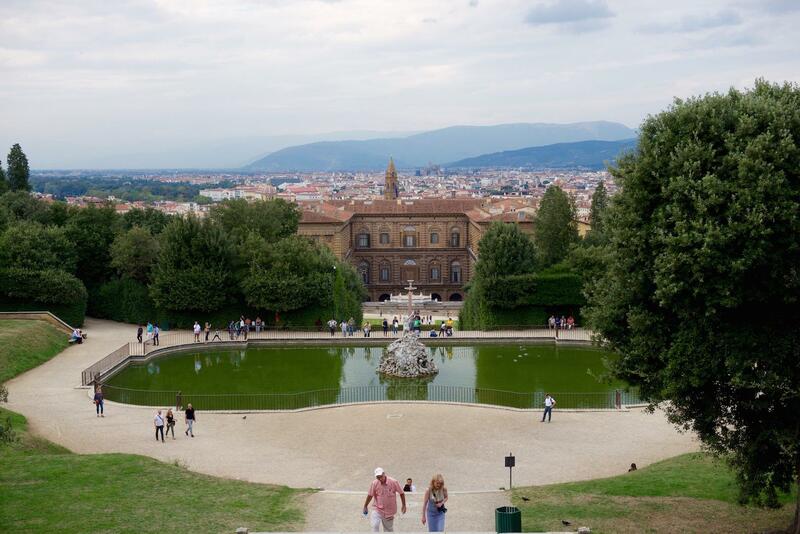 The Boboli gardens behind the Pitti Palace offer a relaxing walk in a giant park with fountains and a long cypress lane. 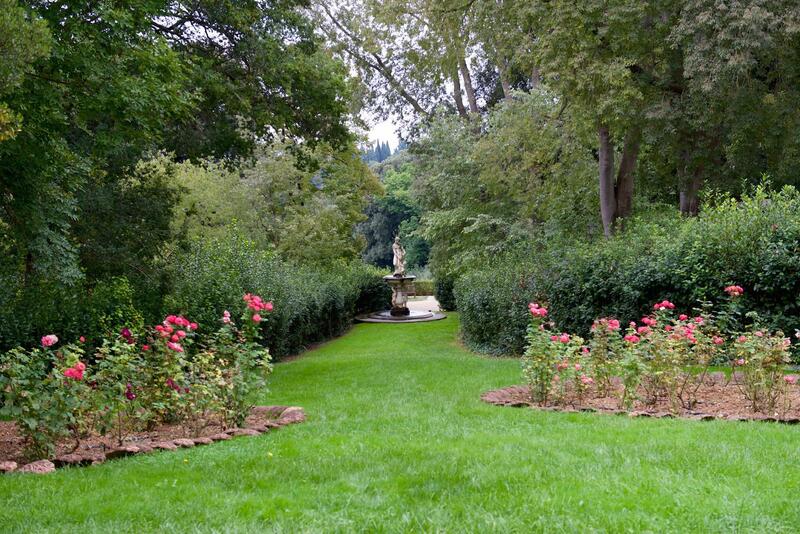 Next to Boboli gardens are smaller Bardini gardens that are charming as well and not touristy at all. 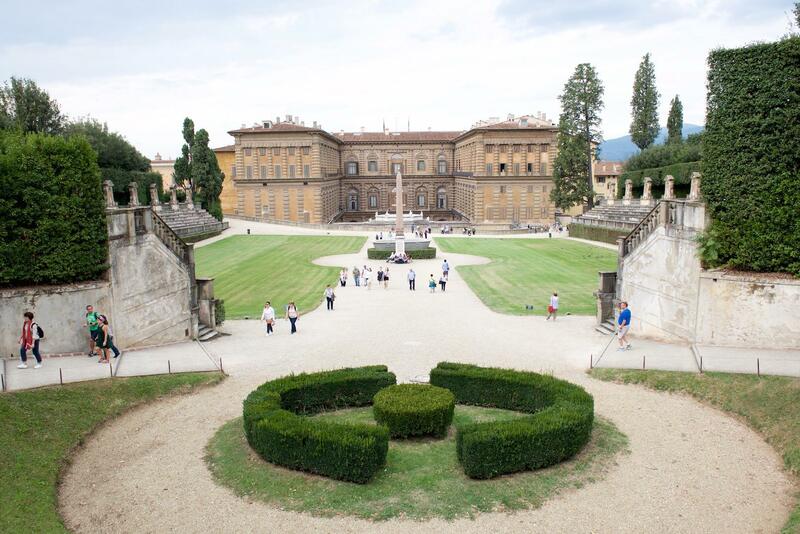 The entrance ticket to the Boboli and Bardini gardens is a joint ticket and it costs 10€ (5€ for a reduced ticket). 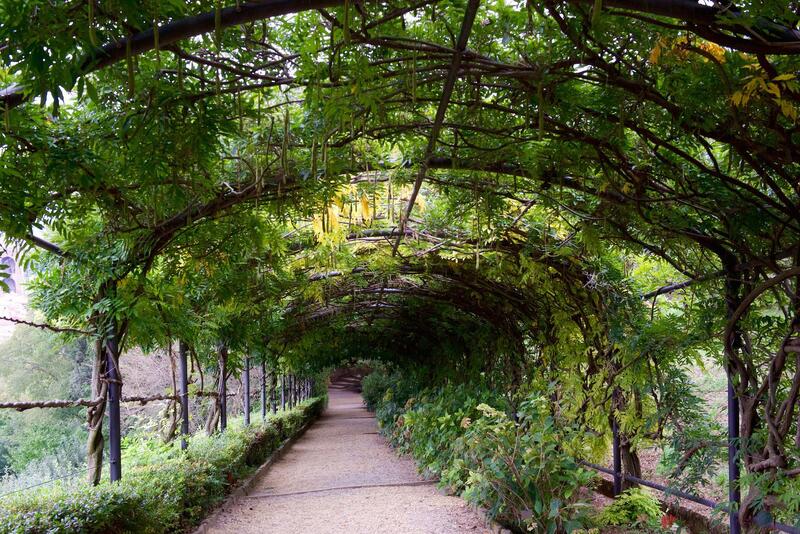 Another hidden gem is a rose garden right below the Piazzale Michelangelo that is a lot smaller and free of charge. 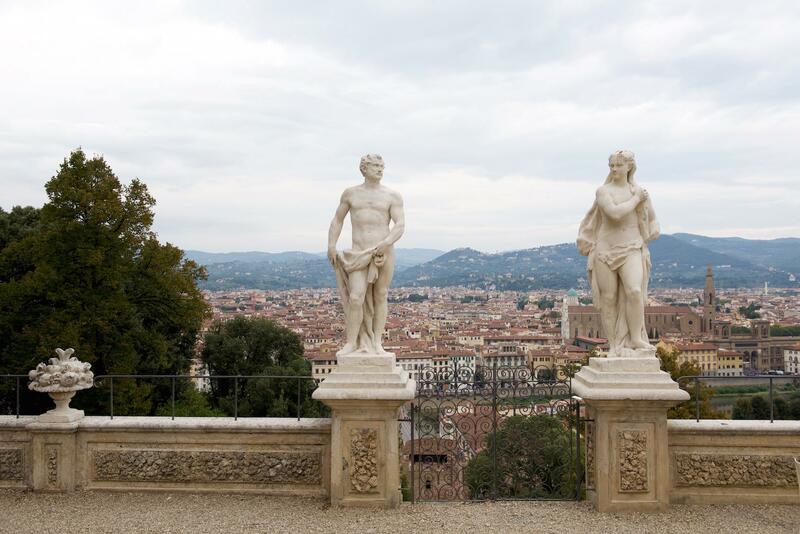 All of these gardens are perfect to relax from sometimes too crowded and too-touristy Florence, and what is more they offer amazing views over to the terracotta rooftops of Florence. 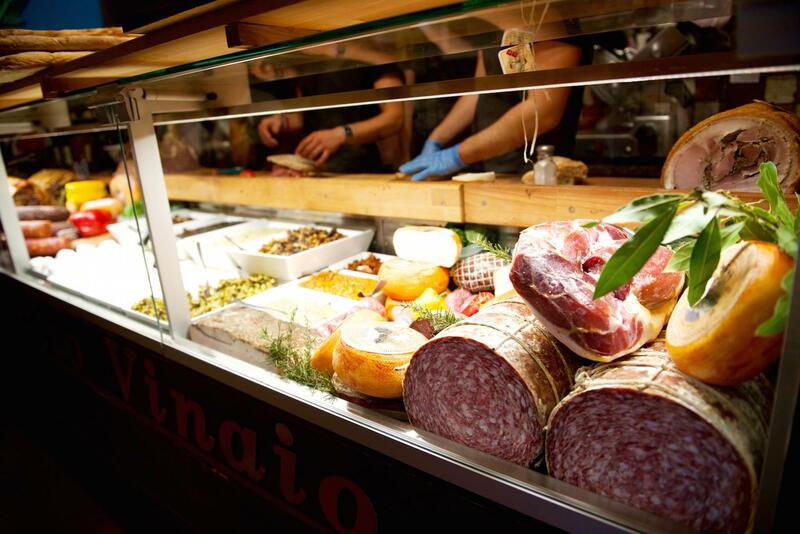 Osteria dell’ Antico Vinaio is one of those cute little sandwich and wine shops that you can find only in Italy. 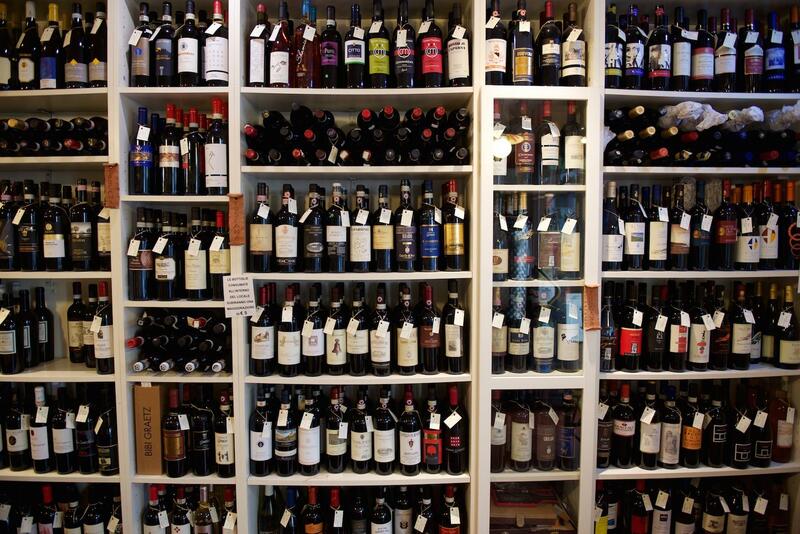 We stumbled upon this place by accident, and boy we were happy that we did. 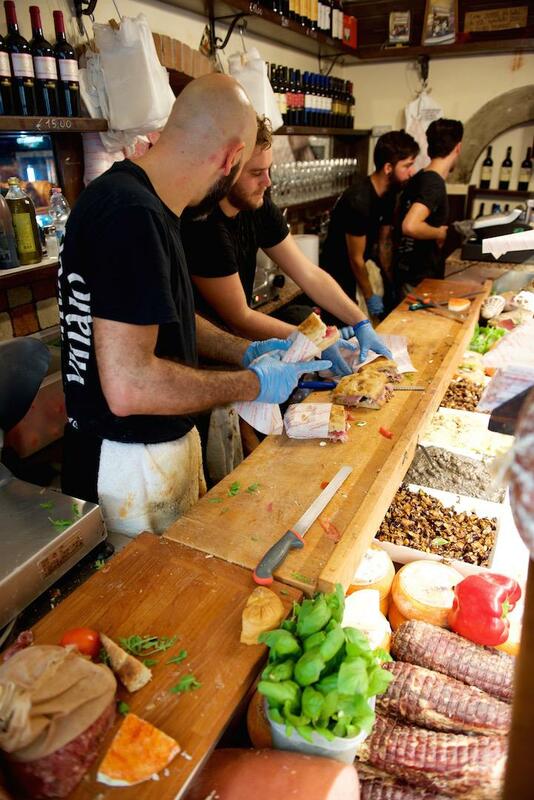 According to the Tripadvisor and other reviews on Internet this is one of the best sandwich places in whole Florence. And it really is! It seems that people are aware of that too, as they are (including us) prepared to wait for half an hour or more to get their hands on the most delicious sandwich. 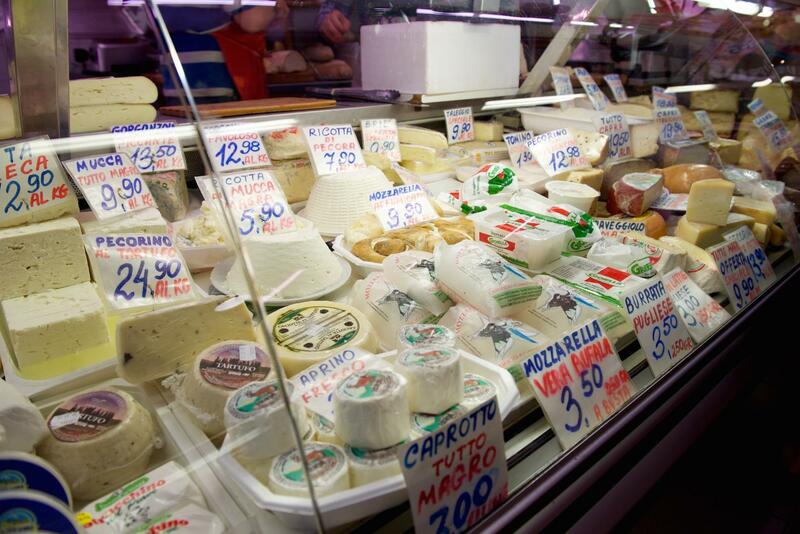 Filled with truffle cream, Tuscan prosciutto, and fresh mozzarella this is the definition of a foodie paradise. The sandwich really is the best ever and did I mention that it’s also huge? 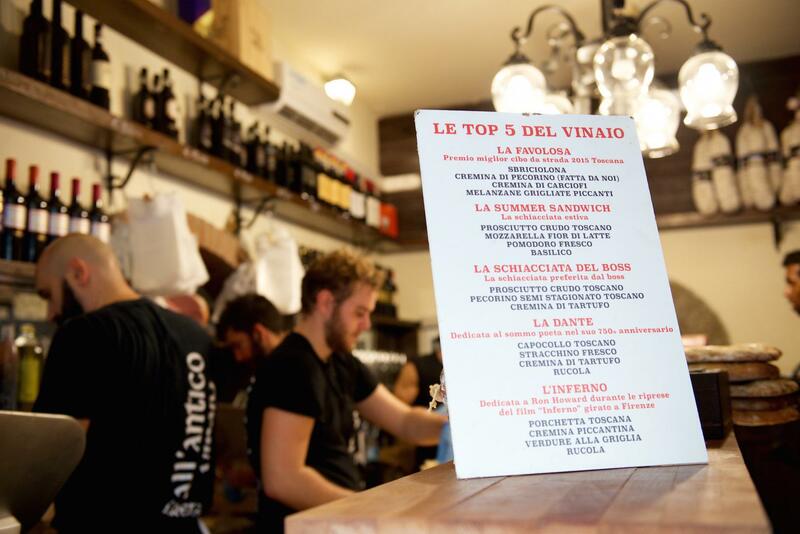 The price is really good – 5€ for the sandwich 2€ for a glass of wine. 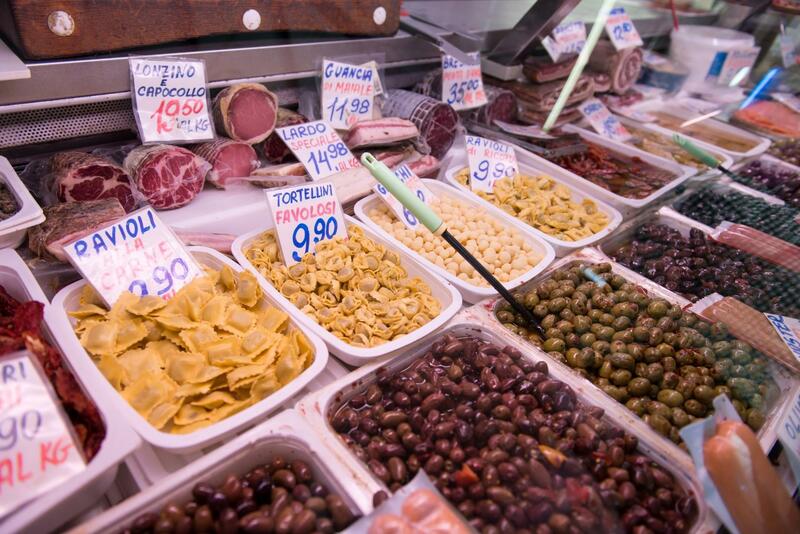 If you need more advice on where to eat in Florence check out this post here. Super nasveti in nasploh lepi prispevki, še lepše pa fotografije 🙂 ..ali mi lahko iz izkušenj predlagaš kakšno dobro nastanitev v Toskani, prosim? Hvala za tvoj komentar, mi veliko pomeni. 🙂 Glede nastanitev v Toskani – midva sva spala samo v Firenzah. To sva rezervirala preko Bookinga, in sicer B&B Martini. Je nekih 20 minut hoje do centra, ampak ima vključen parking in zajtrk in je še kar ugodna cena, ker je drugače Italija kar precej draga kar se nastanitev tiče.